For us, retirement planning means more than providing our clients with investment advice. It means helping them maintain the financial independence they've worked their whole lives to achieve. It means striving to ensure they have the means to pursue what's most important to them. And it means understanding them as people with unique goals, values and circumstances that determine the strategies we develop on their behalf.Our consultative process begins with an in-depth discussion of your current finances and future objectives. We'll address issues you might have overlooked that can have a significant impact on your ability to retire as planned. Finally, we'll determine how we can help you adjust your investment strategy as necessary to accommodate changing conditions and meet any unforeseen expenses and income demands that may arise during retirement. 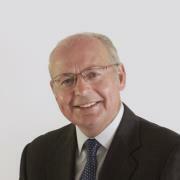 Jack Hochstrasser is the senior partner of the Hochstrasser/Zaro Group. He is actively engaged in all aspects of the group’s practice, particularly with investment planning, retirement and income planning, and long-term financial planning for clients. With more than 36 years of experience at Morgan Stanley and its predecessor firms, Jack has dedicated his professional life to serving clients through financial services. He began his career in the Equity Research department of Shearson Loeb Rhodes in 1981. In 1984, Jack transitioned to the Asset Management division of the firm and ultimately became a Director in that division. In 1997, Jack made the decision to move to the Wealth Management division of the firm in order to work more closely with individual clients and their families. Jack’s numerous accomplishments at the firm include his selection to the firm’s prestigious President’s, Chairman’s, and Director’s Councils in addition to a 35 Year Loyalty Service Award conferred in 2016. 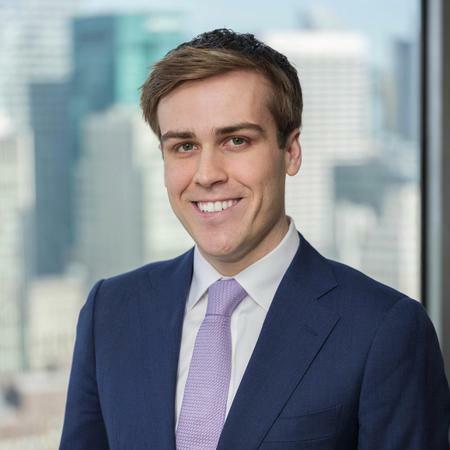 Jack is a strong believer in ongoing education, and has earned two Masters Degrees – an MBA from the New York University Graduate School of Business Administration and a Master of Science in Finance from the College for Financial Planning. Jack received his Certified Financial Planner™ designation in 1989, his Chartered Retirement Planning Counselor designation in 2011, and his Retirement Income Certified Professional designation in 2014. Jack has been married to his wife, Meg, for 36 years, and they have two daughters and three granddaughters. Golf, exercise, and travel are among their interest and hobbies. John A. Zaro, CRPC, First Vice President – Wealth Management is a partner of the Hochstrasser/Zaro Group. John has dedicated his professional career to serving clients in the 14 years he has been with Morgan Stanley and its predecessor firms. John has been a distinguished member of the firm’s Blue Chip Council where he has been recognized for excellence in client services. 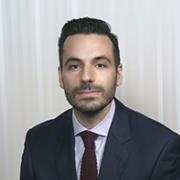 He was recognized by the firm as a Financial Planning Specialist in 2006. John was named one of America’s Top Next-Generation Wealth Advisors by Forbes in 2018. John holds the Chartered Retirement Planning Counselor designation, conferred in 2008 by the College for Financial Planning and the Retirement Income Certified Professional designation, conferred in 2015 by the American College. He is a graduate of Columbia College at Columbia University where he received a B.A. in English. John has been married to his wife, Natalie, since 2010 and is a proud father of two sons, Adrian and Gabriel. 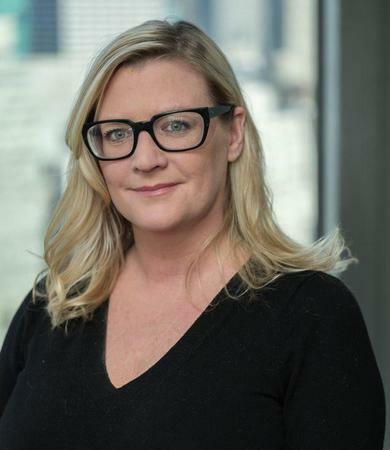 Christa McGillen is a Senior Registered Associate with the Hochstrasser/Zaro Group, with over 17 years of financial services experience. She graduated from the University of Scranton in Pennsylvania and earned a B.S. in Finance. Shortly after graduation, Christa accepted a job offer from Salomon Smith Barney where she worked as an assistant to Jack Hochstrasser. She has been working with him and the team ever since. In her role with the group, Christa primarily facilitates client service, account maintenance and trading. She currently holds her Series 7 and Series 63 registrations. Our steadfast committment is to enhance the advice you receive. Working in partnership allows us the opportunity to provide a more holistic approach to help you manage and meet your wealth management goals head-on. Now you view your accounts from other financial institutions on Morgan Stanley Online and the Morgan Stanley Mobile App. Bringing you revealing stories about the world of business, finance, technology and beyond. Ready to start a conversation? Contact The Hochstrasser/Zaro Group today. 2Alternative Investments are speculative and include a high degree of risk. An investor could lose all or a substantial amount of his/her investment. Alternative investments are suitable only for qualified, long-term investors who are willing to forgo liquidity and put capital at risk for an indefinite period of time. 3Annuities are offered in conjunction with Morgan Stanley Smith Barney LLC’s licensed insurance agency affiliates. 4Morgan Stanley Smith Barney LLC is a registered Broker/Dealer, Member SIPC, and not a bank. Where appropriate, Morgan Stanley Smith Barney LLC has entered into arrangements with banks and other third parties to assist in offering certain banking related products and services. 5CDs are insured by the FDIC, an independent agency of the U.S. Government, up to a maximum of $250,000 (including principal and accrued interest) for all deposits held in the same insurable capacity (e.g. individual account, joint account, IRA etc.) per CD depository. Investors are responsible for monitoring the total amount held with each CD depository. All deposits at a single depository held in the same insurable capacity will be aggregated for the purposes of the applicable FDIC insurance limit, including deposits (such as bank accounts) maintained directly with the depository and CDs of the depository. 6Fixed Income investing entails credit risks and interest rate risks. When interest rates rise, bond prices generally fall. 7An investment in an exchange-traded fund involves risks similar to those of investing in a broadly based portfolio of equity securities traded on exchange in the relevant securities market, such as market fluctuations caused by such factors as economic and political developments, changes in interest rates and perceived trends in stock prices. The investment return and principal value of ETF investments will fluctuate, so that an investor's ETF shares, if or when sold, may be worth more or less than the original cost. 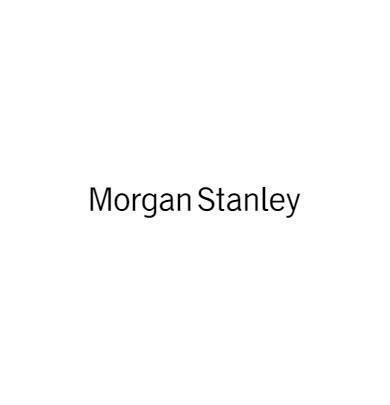 8Morgan Stanley offers a wide array of brokerage and advisory services to its clients, each of which may create a different type of relationship with different obligations to you. Please consult with your Financial Advisor to understand these differences. 9Fixed Income investing entails credit risks and interest rate risks. When interest rates rise, bond prices generally fall. 10Insurance products are offered in conjunction with Morgan Stanley Smith Barney LLC’s licensed insurance agency affiliates. 11Insurance products are offered in conjunction with Morgan Stanley Smith Barney LLC’s licensed insurance agency affiliates. 12Income generated from an investment in a municipal bond is generally exempt from federal income taxes. Some income may be subject to state and local taxes and to the federal alternative minimum tax. Capital gains, if any, are subject to tax. 13Morgan Stanley Smith Barney LLC (“Morgan Stanley”), its affiliates and Morgan Stanley Financial Advisors or Private Wealth Advisors do not provide tax or legal advice. Clients should consult their tax advisor for matters involving taxation and tax planning and their attorney for legal matters. 14Precious metals are speculative investments and, as such, their value can be subject to declining market conditions. 15Morgan Stanley’s investment advisory programs may require a minimum asset level and, depending on your specific investment objectives and financial position, may not be suitable for you. Please see the Morgan Stanley Smith Barney LLC program disclosure brochure (the “Morgan Stanley ADV”) for more information in the investment advisory programs available. The Morgan Stanley ADV is available at www.morganstanley.com/ADV. 16Morgan Stanley Smith Barney LLC (“Morgan Stanley”), its affiliates and Morgan Stanley Financial Advisors or Private Wealth Advisors do not provide tax or legal advice. Clients should consult their tax advisor for matters involving taxation and tax planning and their attorney for legal matters. 17The returns on a portfolio consisting primarily of Environmental, Social and Governance (“ESG”) aware investments may be lower or higher than a portfolio that is more diversified or where decisions are based solely on investment considerations. Because ESG criteria exclude some investments, investors may not be able to take advantage of the same opportunities or market trends as investors that do not use such criteria. 18Morgan Stanley Smith Barney LLC does not accept appointments nor will it act as a trustee but it will provide access to trust services through an appropriate third-party corporate trustee. 19Morgan Stanley Smith Barney LLC (“Morgan Stanley”), its affiliates and Morgan Stanley Financial Advisors and Private Wealth Advisors do not provide tax or legal advice. Clients should consult their tax advisor for matters involving taxation and tax planning and their attorney for matters involving trust and estate planning and other legal matters. 20Morgan Stanley Smith Barney LLC (“Morgan Stanley”), its affiliates and Morgan Stanley Financial Advisors or Private Wealth Advisors do not provide tax or legal advice. Clients should consult their tax advisor for matters involving taxation and tax planning and their attorney for legal matters.